Miss Reed writes to tell Miss Berry about the interest her class of Italian Methodist girls have in the work of her schools. 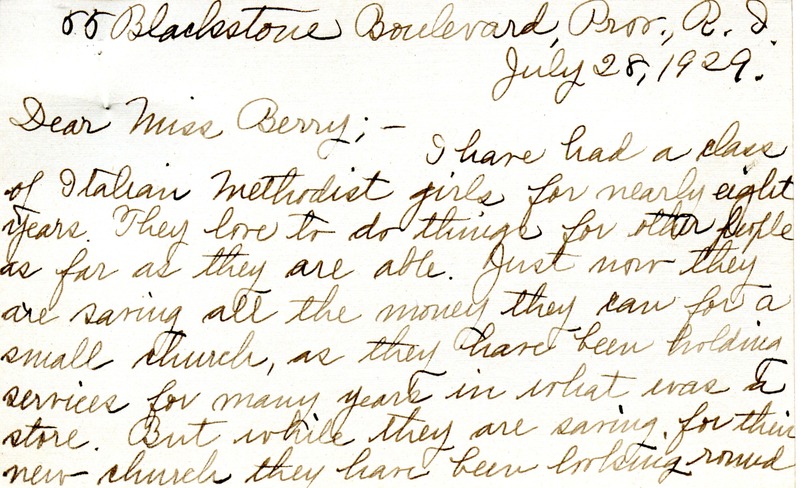 She writes to ask for more information and for a list of the needs of the schools, and to inform Miss Berry of their intention to send Sunday School papers. 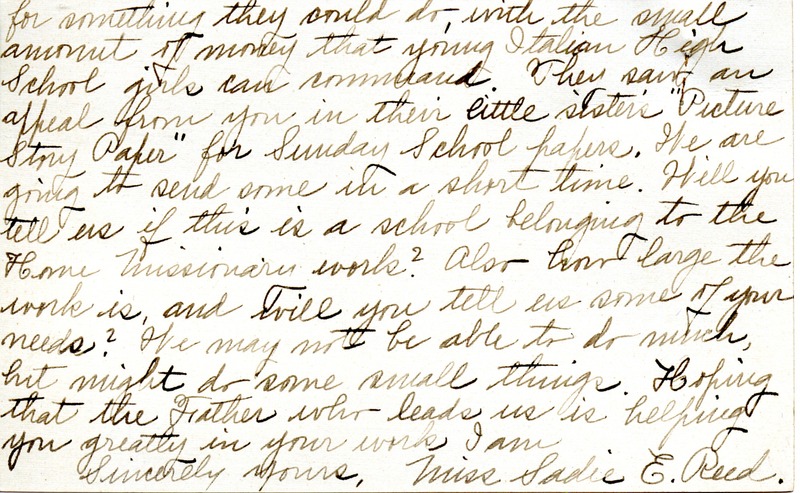 Miss Sadie E. Reed, “Letter to Martha Berry from Sadie E. Reed.” Martha Berry Digital Archive. Eds. Schlitz, Stephanie A., Chelsea Risley, et al. Mount Berry: Berry College, 2012. accessed April 26, 2019, https://mbda.berry.edu/items/show/10847.